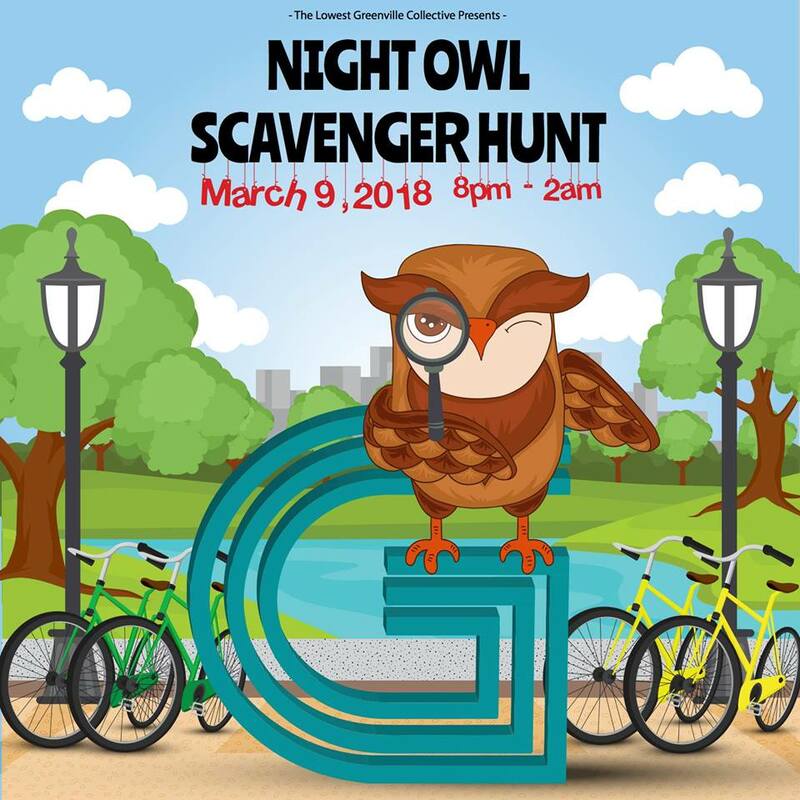 Come on out for the LGC Night Owl Scavenger Hunt! Check in at the LGC table (located in front of Blind Butcher), pay $5 to participate & get your koozie and player’s card. Find the “Lowest Greenville G” in each of the 9 locations on the card, take & post a picture of your completed card, and tag us on any of our social media outlets to be entered to win the GRAND PRIZE! Your koozie will get you drink, food & swag specials in every stop along the way! Winner will receive 2 tickets to a Four Day Weekend Comedy Show at their new East Location at 5601 Sears Street, right off of Lowest Greenville!